The Core Gold and Core Silver System is designed to be flexible and integrate with many accessories for increased capabilities and customization. 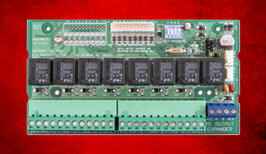 These include additional LCD keypads, input and output zone expanders, ethernet port expanders, serial port expanders, proximity readers, two-way listening devices, relay boards, and more! Conserve the energy consumption in your home or office, or give your house a "lived-in" appearance while you're away. All of this is possible with our Lighting and Thermostat Controller! 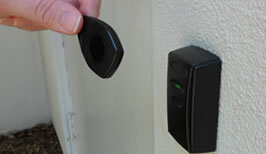 With our Intelligent Security, you can completely control who is granted access to your doors or gates. 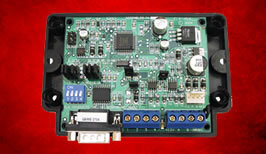 Door and gate locks are controlled via relays on the Single Door Access Module. Connect your Single Door Access Module to the compact, weatherproof external proximity reader - the UltraProx Wiegand Reader. We also offer the Keypad Plug In Proximity Reader for the LCD Keypad. This compact proximity reader discreetly installs inside the Keypad and is ideal for high security installations or as an alternative to remembering pin codes for access as well as system arming and disarming. 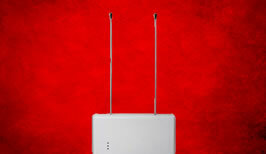 The Proximity Readers are compatible with the Proximity Cards and Proximity Fobs. The proximity cards are the perfect size to be kept in a wallet or outside pocket of a purse. The small thin design of the proximity fobs can be carried on a keychain without making it bulky.